Authentic leadership is a powerful idea. But if you believe authentic means ‘just being yourself’, you may end up in a mess (from my Marketing Week column). Patrick Barwise and I consider ourselves lucky. 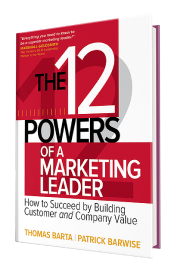 Reviews for our book The 12 Powers of a Marketing Leader, were pretty positive. Well, we’ve conducted the world’s largest CMO success study, and many CMOs have helped write the book. What else to expect than rave reviews? Melanie (not her real name) doesn’t quite agree, however. After a recent keynote, she came up to me and said: “You teach us how the best marketing leaders made it to the top. But I have my own authentic style. I’ll be more successful if I don’t change too much.” A couple of people had joined Melanie by then. I saw many heads nodding when she made her point. What followed was a fascinating discussion with Melanie and the folks around her about authentic leadership, and real life. In the end, we agreed that authentic leadership is a good thing. And I hope Melanie realised that to be an effective authentic leader, just being yourself isn’t good enough. ‘Authentic leadership’ is a fashionable buzzword. Like virtual reality, it goes well with your almond milk latte and quinoa bowl in a West End coffee shop. It sounds like the ultimate answer to the corporate job dilemma. Instead of fitting in, there’s now a new path to greatness: be yourself and success will come your way. Before you get too excited, let me warn you that authentic leadership is widely misunderstood. And being an effective authentic leader may be harder work than you think. As a partner at McKinsey (and a dean of the firm’s global leadership programme), I trained hundreds of consultants on how to lead without authority. As with marketers, authentic leadership is a big deal for consultants. We often had tough debates about whether consultants could be effective and completely authentic. 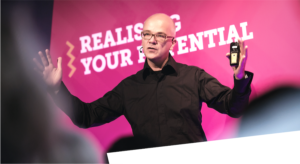 Senior partners would typically say: “Yes, I’m best when I’m just myself.” Meanwhile, younger leaders would tell stories where ‘being themselves’ simply didn’t get them anywhere. Who’s right? Before you get too excited, let me warn you that authentic leadership is widely misunderstood. Two words stand out: ‘relationships’ and ‘honest’. Authentic leadership stresses the importance of relationships. It will indeed be difficult to build effective relationships if you just do your thing. It also stipulates honesty about who you are – including weaknesses. That too doesn’t translate to ‘do your thing’. As a marketer, you are constantly trying to get a better deal for your customers and your company. That’s why you lead in the first place, and it typically requires lots of relationship building and negotiation. The most successful marketers I’ve met move the needle because of their particular leadership strengths. One is a stellar negotiator. Another tells great stories. Yet another can rally teams around big ideas. It’s pretty obvious: great leaders use their natural strengths to the fullest possible extent. As a marketer, you must find and build your most authentic leadership muscles. If you’re unsure what they are, a decent 360-degree survey can be a good start. But make sure you also ask people around you for their views. Once you know what makes you effective, use it as much as you can. Melanie couldn’t agree more. She, for example, is good at getting behind people’s real issues. Recently, she launched a new product at the speed of light because she addressed the concerns of the sales team early on. Authenticity is amazing when it works. The sobering news is: we all display toxic behaviours too. We show off, cut people off, and so on. In a role like marketing, where you depend on lots of people who don’t work in your department, authentic behaviours like these can easily render you ineffective. At this point, Melanie was getting angry. “If people don’t like the way I behave,” she said, “it’s their problem.” Fair point. Unfortunately, the facts won’t agree with her. When we researched the leadership of hundreds of successful CMOs and CEOs, not a single one said: “My natural style is most effective.” Instead, everybody admitted they have learned to turn ineffective behaviours into effective ones. But how do we deal with ineffective behaviours while continuing to be authentic? Strategy one: try to stop these behaviours. Anything you can do to reduce destructive actions will be helpful. I, for example, start problem-solving the moment someone throws an issue at me, assuming my solution will work for everybody. Of course, it won’t. I’ve learned, after some feedback, to shut up and listen more. That’s still authentic but way more effective. If getting rid of a destructive behaviour is too difficult or takes too long, consider strategy two: explain. Help those around you understand your less helpful behaviours, so they can handle you better. One well known CMO, for example, has a tendency to get angry in meetings. As a result, some people on his team have held back ideas simply to avoid conflict. His behaviour was authentic but ineffective. When he asked his team to call him out when this happens, the effect was dramatic. Explaining helped him moderate his style, and it helped his team deal with the issue when it appeared. That too is very authentic. Brilliant authentic leadership is about using what makes you naturally effective while honestly facing what doesn’t. That’s different from just being yourself. I’m not sure I’ve fully convinced Melanie. But if I were her customer, I would rather she be authentic and effective.